Welcome to Wordless Wednesday, where we take a moment to paws & reflect here at Knotty Toys for Good Dogs. Have a safe Halloween. I get treats for tricks all the time so I’m a bit confused. BOL! p.s. My Purple Pumpkin is at the end of the driveway for all to see. Where’s yours? Your purple pumpkins 🎃 are a cool change of pace. 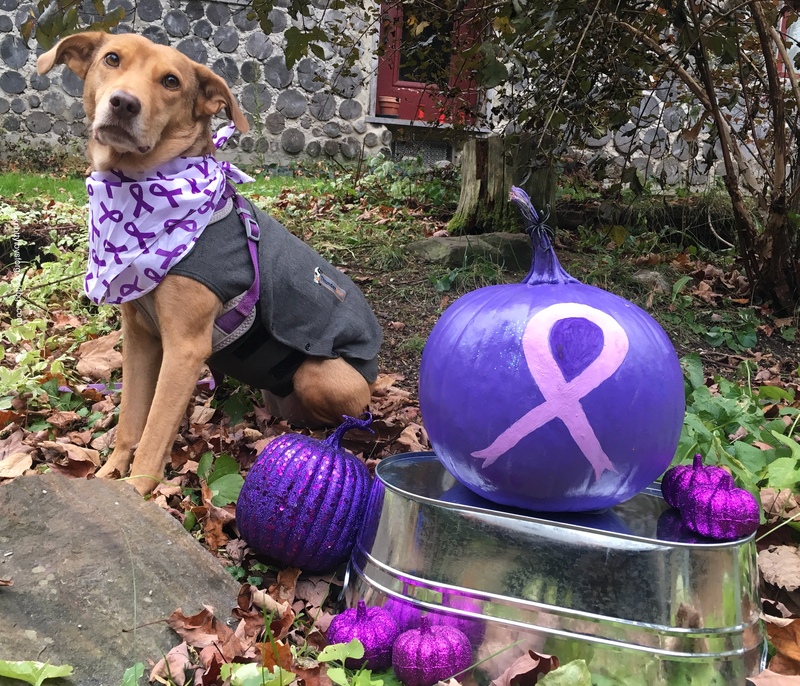 Your purple pumpkins look great. Happy Halloween! ← What’s the Deal with Catnip?